Difference spotters! Please keep posting your feedback and reviews! We're working hard on your most requested features. Published: 2014-04-29, by Ana Gracia. "Have you spotted it yet?" What’s the Difference? 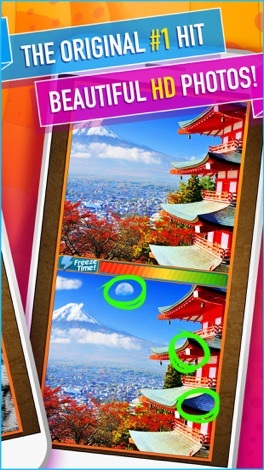 ~ spot the differences & hidden objects in this photo puzzle hunt! is a well-designed iOS application that pretends to help you practise your attention and observation skills. What do you need to do? Simply find the differences between the two pictures by clicking on them. 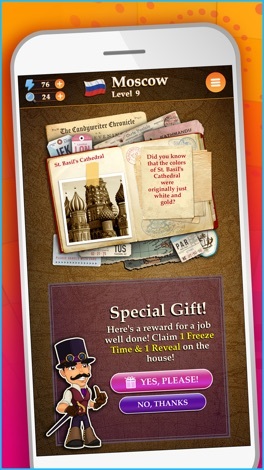 Level-up by completing the level in the fewest possible time and earn bonus points in exchange. While the concept has already been done a thousand times before, we can't deny that the app's design and interface are excellent and the game is surely addictive and hints make it more thrilling. Candywriter, LLC is the developer of What's the Difference, a simple yet interesting app that helps you improve your observation skills and is entertaining enough to try it out. The official worldwide smash hit Spot the Difference game! Newly remastered with hundreds of beautiful high definition photos! Hunt your way around the world from Transylvania to Timbuktu and Sydney to San Francisco in an epic journey for steely-eyed smartphone sleuths! 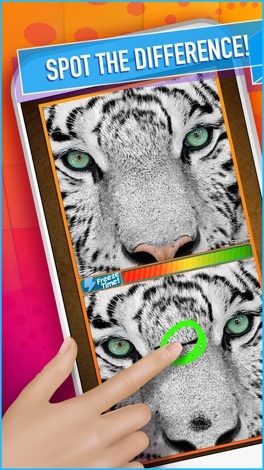 A very cute and addictive spot the difference game. Spot all differences in random pictures and beat the highscore. Enjoy cartoony images and beat todays highscore! Uses Gamecenter: Beat todays, this weeks and the overall highscores. Also make sure to check out our other(Spot the Difference) games! Birds Spot The Differences in the images in this classic Spot the Difference game. Click on the spot in the images that are different from each other. Try to find all of them before time runs out. Get in the mood for Easter with this cute and addictive spot the difference game. Spot all differences in random easter themed pictures and beat the highscore. Uses Gamecenter: Beat todays, this weeks and the overall highscores. Also make sure to check out our other(spot the difference) games! Beautiful Victorian Valentine's cards for a relaxing and enjoyable spot the difference game. 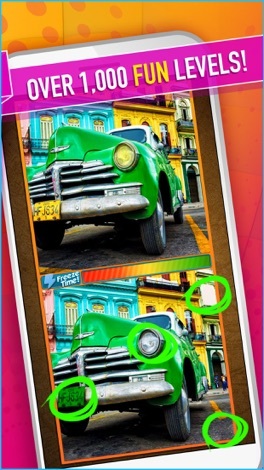 • 8 postcard spot the difference puzzles in the free version • 28 postcard spot the difference puzzles in the unlocked game A wonderful gift on Valentine's Day or any other occasion. 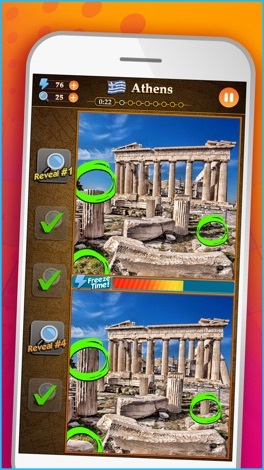 【Funny easy game】 Spot as more different color as you can in about 1 minute. Find all the differences in the images in this classic Spot the Difference game. Click on the spot in the images that are different from each other. Try to find all of them before time runs out. It is an exciting STRANGER THINGS version of the "Spot the difference" game! Spot the differences between a pair of photographs of the most beautiful images. Challenge your friends with your highscore! Click the button, then use a QR code scanner to download the app directly to your iPhone / iPad device.